A free and open-source web browser based on the Chromium web browser and its Blink engine. Brave portable app made with Portapps. Download and install the latest portable setup where you want then run brave-portable.exe. Then run brave-portable.exe and remove Brave from your computer. Following switches are passed to the process. --user-data-dir=<data_path> : Directory where the browser stores the user profile. <data_path> is dynamically generated at launch. 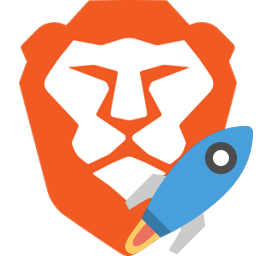 --disable-brave-update : Disable automatic update to avoid regressions. --no-default-browser-check : Stops Brave from checking if it is the default browser at startup. --allow-outdated-plugins : Don’t block outdated plugins. --disable-logging : Force logging to be disabled. --disable-breakpad : Disables the crash reporting. --disable-machine-id : Allows disabling the machine ID generation on Windows. --disable-machine-id and --disable-encryption-win have been specially crafted to ensure portability. This means that passwords, cookies and other settings will not be encrypted on your hard drive. It is therefore advisable to have this data on an encrypted hard disk. For more info see portapps/brave-portable#4, portapps/brave-portable#15 and brave/brave-core#795.